Continue reading on the Killer Crafts & Crafty Killers blog. Find out more about Too Many Women in the Room and get the tried-and-true recipe for Easy Avgolemono on Peggy Jaeger’s blog. I was delighted to discover a reason to celebrate (and partake of) my favorite dessert. 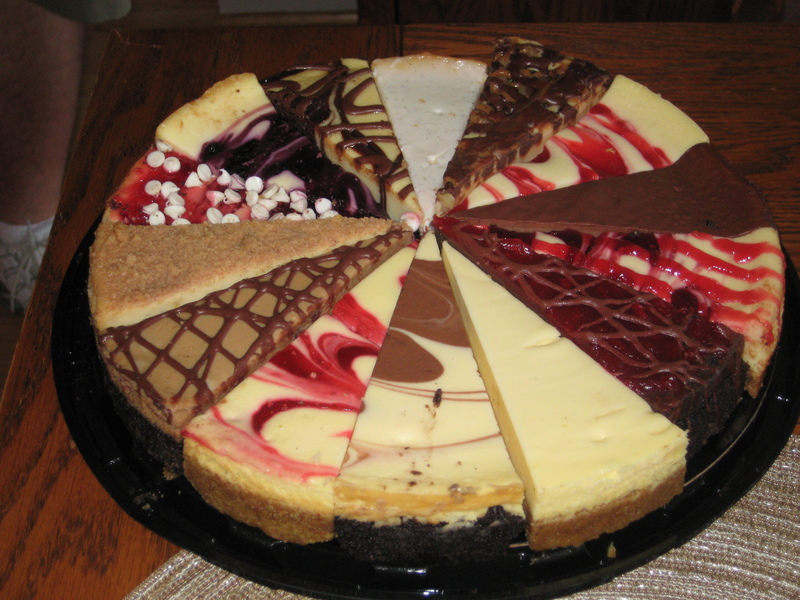 But before doing that, I decided to delve into the origins of cheesecakes. Cheesecakes date back to ancient Greece. Physical anthropologists have excavated cheese molds, dated 2000 B.C., on the Greek island of Samos. In Greece, cheesecakes were considered excellent sources of energy and served to athletes during the first Olympic Games in 776 B.C. Greek brides and grooms celebrated their nuptials with cheesecake. An actual cheesecake recipe from 230 A.D. has been unearthed: Pound the cheese until it’s smooth and pasty, mix the pounded cheese in a brass pan with honey and wheat flour, heat the cheesecake in one mass, cool and then serve. When the Romans conquered Greece, they modified the recipe by adding eggs. These ingredients were baked under a hot brick oven, and the cheesecake was served warm. As the Romans expanded their empire, they shared their recipe with the Europeans. In England, Henry VIII’s chef cut up cheese into very small pieces and soaked these pieces in milk for three hours. Then, he strained the mixture and added eggs, butter, and sugar. A fan of the New York Style Cheesecake, I decided to research its history. German-born Arnold Reuben (well-known for his signature sandwiches) was invited to a dinner party where the hostess served a cheese pie. Fascinated by the dish, Reuben experimented with the recipe until he came up with the smooth-tasting cheesecake we all know and love. Over the centuries, different cheesecake recipes have evolved, reflecting the cheeses and preferences of each country: Italians use ricotta cheese, Greeks use mizithra or feta, Germans prefer cottage cheese, and the Japanese use a combination of cornstarch and egg whites. More daring chefs have introduced specialty cheesecakes that include blue cheese, seafood, spicy chilies, and even tofu. I’m willing to try almost any flavor, but I’ll pass on the chilies, tofu, and seafood varieties. When it comes to creating my own cheesecake, I gravitate toward the following easy-to-prepare recipe that actually calls for frozen blueberries. Combine brown sugar, graham cracker crumbs, and butter. Press into the bottom of a 9” x 13” rectangular pan. Bake for ten minutes at 325 degrees Fahrenheit. Cream together the cream cheese, sugar, vanilla and lemon juice. Add whipped cream and fold in blueberries using a wooden spoon. Any other easy-to-prepare cheesecake recipes out there? At least once each summer, I treat myself to a Dairy Queen banana split. And each time, I try not to gasp at the “new” price . In 2017, a DQ banana split costs $7.00 (CDN). Like everything else, Dairy Queen treats have risen in price. Glancing at the menu board, I mentally calculated the minimum and maximum amounts a family of four could easily spend on a Dairy Queen excursion. If they all selected banana splits, the cost would be $28.00 (CDN). Four small dipped cones would ring in at $12.60 (CDN). These expenses could add up if summer temperatures soar and humidity levels become unbearable. Happy National Blueberry Muffin Day! Blueberry muffins make a delicious and simple change of pace for breakfast and afternoon snacks. They can be made in large batches and stored in air-tight containers or frozen for future use. The following recipe is a family favorite and can be easily whipped up in less than an hour. 2. Grease muffin tins with butter or margarine. 3. Mix oil, sugar, eggs, orange peel and juice with the electric mixer. 4. Gradually add milk, flour and baking powder. 6. Stir using a wooden spoon, not the mixer. 7. Drop mixture into tins. 8. Bake for 25 to 30 minutes.